This is G&CC's Chehalis. 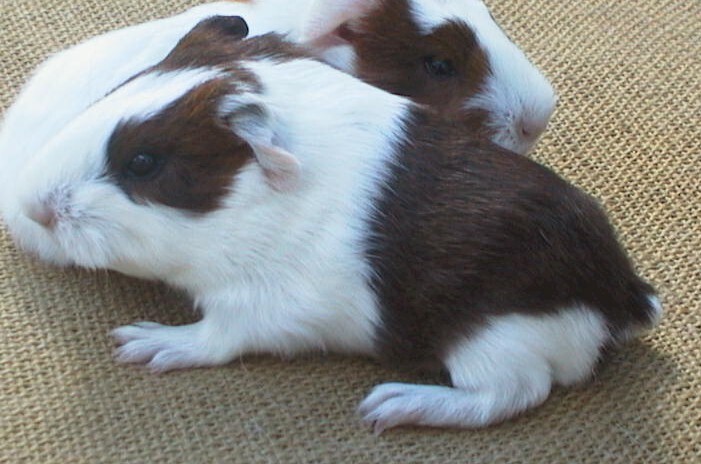 He is a golden agouti, red and white silkie boar. This photo was taken by Megan Rygel when Chehalis was one day old. Silkies are one of my favorites. They always have such smug cute faces. They are one of the best represented breeds in the Pacific Northwest.